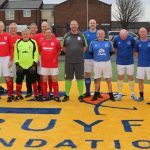 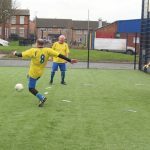 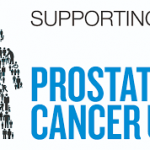 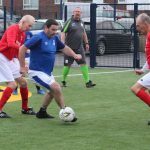 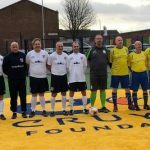 England’s Over 50’s travelled to Goodison Park last week in a Prostrate Cancer awareness day and finished the day with 5 wins from 5 games and with 17 goals for and none against. 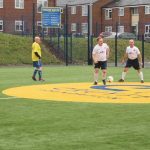 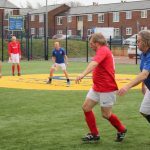 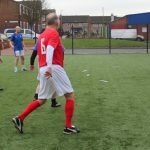 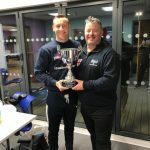 Wins over two Everton and Wigan representative sides and the England Over 60’s meant a clean sweep for the impressive quinquagenarians. 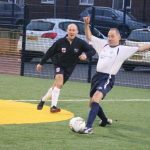 Goals from Neil Evans 6, Nick Morris 5, Paul Walton 2, Mike Milligan 2, & Neil Brown 2, were testament to their free-flowing passing game. 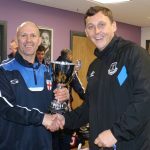 Debutant Milligan was particularly impressive with his break up play and organisation. 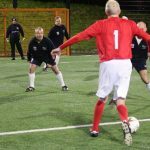 Darren Bradley was his usual commanding self at the back as England once again kept a clean sheet with goalkeeper Trevor Hanson only called upon for a limited amount of times as England’s positional play kept all opposition at bay. 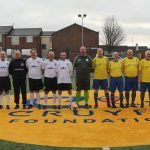 “Seeing these guys play together more and more is beginning to reap rewards, we were impressive throughout today, sometimes the opposition were simply blown away, I think with work on our finishing we would have scored even more. 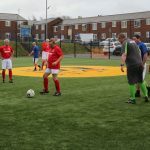 I love how solid we look, apart from a couple of shots our defensive work from the halfway line was so impressive, we need to keep improving and the ability of the players and the self-belief will continue to grow”.